I was looking at some kind of homepage splash graphic which seemed to be a picture of a naked woman. When I looked at it closer, I realized it was a collage of images cut in at different angles to give the appearance of a naked woman (while looking like water to anyone not paying attention, or who didn't have a high-enough resolution view). 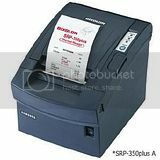 As I tried to wake up from that, I started looking at what seemed like a receipt printer. Lines were being printed on the receipt that were talking to me. receipt: "If you wanted to do anything right now, you'd write that essay about purple. And chocolate, and signaling." me: "Wait. Slow down. Why is that more important than anything else?" My point of view shifted from the receipt printer to a room with a couple of people in it. woman: "...though what I've been getting really into lately is that sort of old-era communist music, my roommate and I started a band." me: "Wait. Hey, what about the purple. What is the signal?" woman: "Um...it's rather obvious, isn't it? It's to convey something in-between." me: "But how does it relate to chocolate?" woman: "Really, you can trace that all back to that poster about science... look over there." She gestured me to look at a poster on the wall. But when I looked where she was pointing, the poster said Not here. There... and had an arrow pointing the direction I should look. I had the odd feeling of looking through electronic files as the poster sizes wavered and shifted. It seemed the posters were not glued onto the wall but held in place by little envelopes. A man guided my hand to the right one and pulled it out of the envelope to put in my hand...while holding a speaker up to my ear. I couldn't make out much about the poster but it seemed kind of goofy and did have the word "SCIENCE" on it. man: "Okay, do you hear that? The music is important." me: "Yes, but it just sounds very old..."
man: "Now we have to go, you don't mind if I come with you?" We started walking walking through what looked like a very old abandoned library, with rolling beige book carts and a general eerie feel. I felt a pressure against my throat, and as we walked up to a door there was a green gas that sprayed on him and he seemed to convulse and dissolve. I kept going. Through the door was a very bleak empty room with lots of graffiti, but I could read in clear red letters the words MARCUS MARCO MARCAMI. A guy with some sort of weapon that just looked like a stick was pointing it at me as if it had fired but I didn't see or feel any bullet...though it seemed to damage my coherence. me: "I knew a guy named Marco once. He had a restaurant." attacker: "Is that supposed to be funny?" me: "I dunno. Are you supposed to be funny?"